Hi! 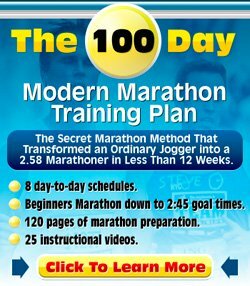 I am a 52 year old women who started running about 1 1/2 years ago. 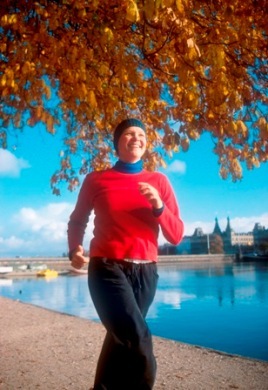 Even though I am in good shape and work out regularly, I have always had difficulty running. Prior to running, I would bike 20 - 30 miles MWF and weight lift TTH. Now I am running MWF and continuing the weight workout on TTH. I am very concerned because the aerobic activity has always been a challenge. I was determined to run 1 mile by 50, finally accomplished this at 51 by slowing my pace down to about an 11.5 minute mile. Two months ago I was up to 5 mile runs at 11 minutes a mile. Last month I seemed to have lost this ability and am really struggling to get 4 miles, often having to walk after 2.5 to 3 miles. When I check my heart rate on the treadmill (I always run under the same conditions on the treadmill) it is consistently in the 190's. Every run is very difficult for me and, considering how I am struggling, I'm pretty sure my heart rate is near the 190 mark for the majority of the run (slightly less than an hour). I have often had to start walking because I am starting to see spots like I am going to pass out and/or I start to lose coordination. I feel like I cannot get enough air. I seem to have much more difficulty compared to the other people running near me at the gym and I continue to read about training time lines that seem completely impossible for me to achieve. After running this routine for this length of time it seems I should be much further along. I have gone to doctors a couple times now attempting to identify why this is so difficult for me and have gotten pretty much the annoying response of "that's great that you're running, most people can't even run a mile". I have good medical coverage and would like an answer as to what is going on here but I'm not sure what type of doctor to see or what tests I should have done. Some additional stats: I'll be 53 in 2 months, I'm 5'11" and weigh 140lbs, and I maintain a low fat, high protein diet. Thanks in advance for your response, I really would like to get a handle on this situation. Thanks for your question about your stamina problems. First of all, I am not a doctor, and don't mistake my opinion for a professional diagnosis. I am just a guy who likes running and likes writing about it. The things you are describing sound pretty serious. I mean, black spots, losing coordination, heart racing out of your chest etc., not the signs of someone enjoying themselves! As to your issues, disregard the training time lines that apply to the general public: don't think badly of yourself, just because you are different. That heart rate sounds very high by the way; it is unusual that a fifty-year old can even get to a heart rate that high. Regardless, the absolute number is not important, what is important is the discomfort your experiencing. It sounds like you are going too fast for your current abilities. I'd scale back and try to get some fun (back?) into your running. A run/walk approach is best. Try to run at a level where you are still able to have a conversation. If that's a gentle shuffle, then so be it, but keep it easy on the body. If possible I'd also go outside instead of running on the treadmill. It might be better to just run with the ability to slow down naturally, rather than having the treadmill dictate your pace. As for why you are experiencing more difficulties now than before, I am wondering if it has to do with some kind of deficiency, e.g. iron deficiency or not well-functioning thyroid. Some blood and urine tests may be able to provide you with answers. I'd also advise you to check out the following information about lack of energy. Thanks for the info, Dominique. I ran today again with the same high level of difficulty and my heart rate was once again at 190. It's very possible I am not getting an accurate reading on the equipment but there is no doubt I am struggling. I am beyond a point of being able to hold a conversation and it does feel like I am pushing to my absolute max. I do have some thyroid problems but thought this was under control. I've had plenty of the standard blood and urine tests with the results all being within the normal ranges. I am heading back to the doctor in a month and hoping to be able to convince the doc to maybe order some not so standard tests to address my concerns. I really appreciate your response and suggestions and I would really like to get some answers. If you, or anyone reading this post, can suggest the types of tests that may yield some insight it would be greatly appreciated.